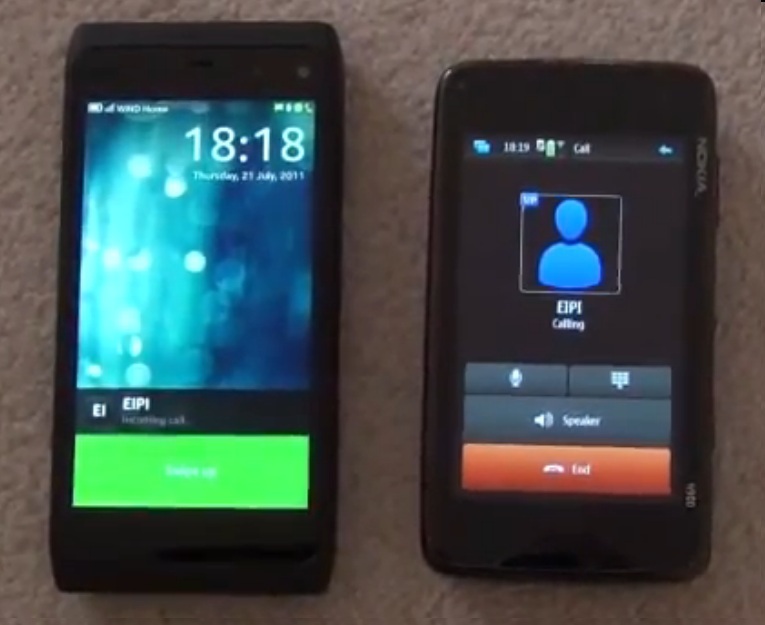 In this video, the Nokia N900 calls the MeeGo-Harmattan powered Nokia N950. Note that to accept a call, you swipe up the screen. Note the lock screen bouncing up and down to tell you this moves. Move it to answer the call. A little icon appears with the name of the person. Missed calls appear as notifications in lock screen which you can immediately get to with a swipe (unfortunately not demoed as that was not the purpose of the video). The speakers sound pretty good too. Hmm. I wonder how the N9’s fare. Also, how do you ignore/silent/cancel a call?